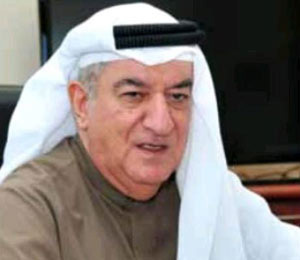 Bahrain Chamber of Commerce and Industry (BCCI) elected Khalid Almoayyed unopposed as chairman at its first meeting yesterday (March 2). Othman Al Rayes and Isa Al Rafaie were elected first deputy chairman and treasurer respectively, said a report in the Gulf Daily News (GDN), our sister publication. Jawad Al Hawaj and Mohammed Sajid were elected unopposed as second deputy chairman and deputy treasurer respectively. Nabeel Kanoo and Khalid Al Amin were elected members to the executive bureau. Almoayyed thanked board members for the trust reposed on him and pledged to work as a team for the business community. He said BCCI will continue to back all efforts aimed at safeguarding achievements accomplished in the prosperous era of His Majesty King Hamad.